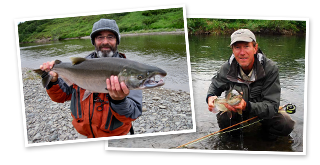 Epic fishing for Char, and Coho Salmon while rafting, camping, and viewing Brown Bears on the Goodnews River. This long anticipated trip was a full year in the planning. The concept was to join two family groups together in wilderness fishing, camping, and travel. 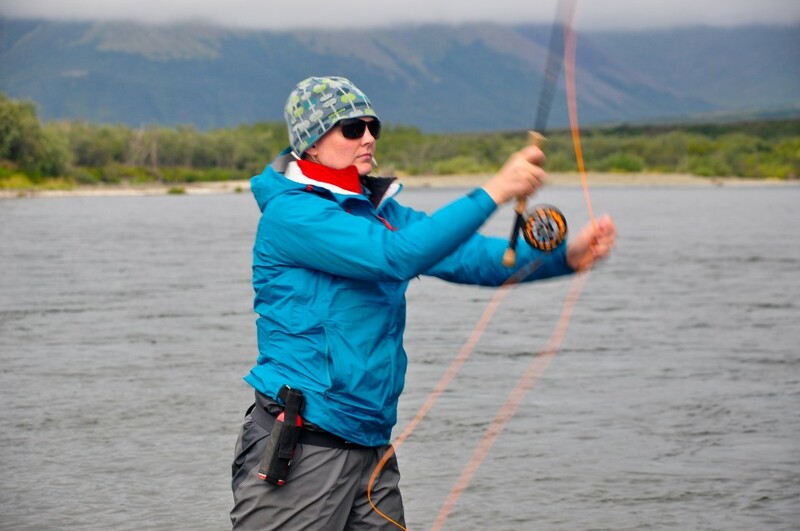 We’d form one mobile social group to share life stories, philosophies, goals and dreams while deepening our practice of fly fishing or for some introducing them to the sport of fly fishing. 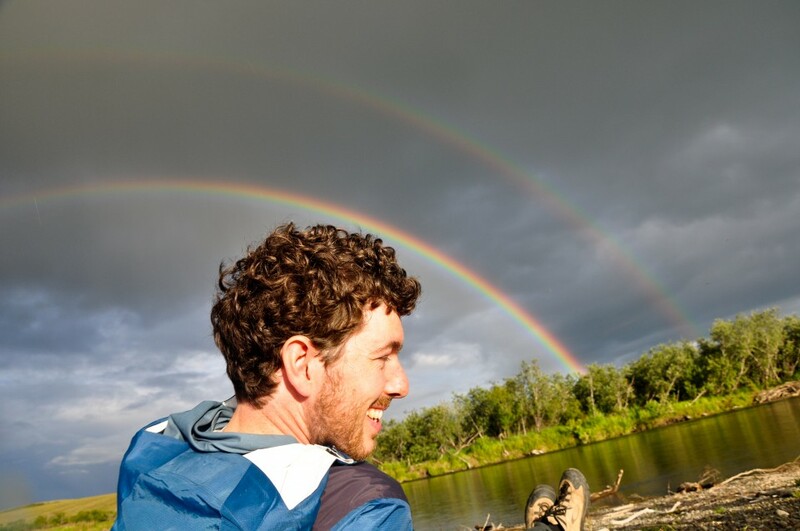 From the trip log written in camp at the end of our first day: A Brown bear cub was bawling across the river reminding me that one of Noel Hanlon’s dreams is to see a Brown/Grizzly Bear in the wilds. Tonight we could hear the cub and presumably her mother is near by. We could only wonder in what form Noel’s bear dream might manifest itself. 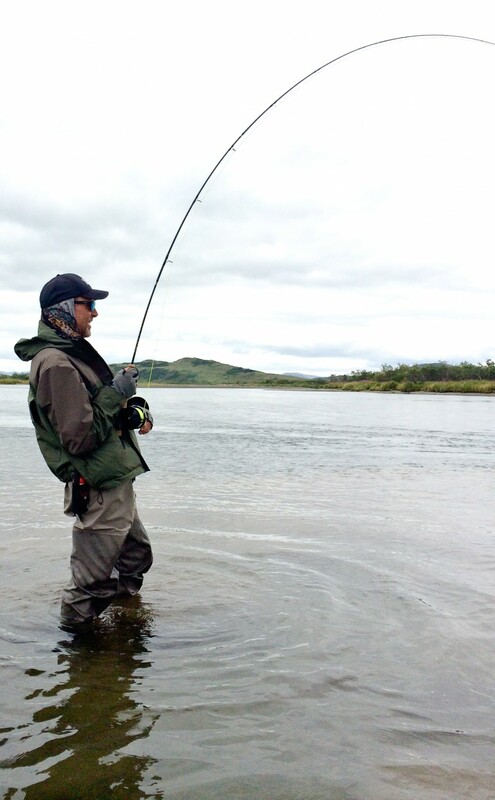 The fly-fishing program got started from camp where “some Sockeye Salmon, Dolly Varden Char, and 1 jack King Salmon were released”. 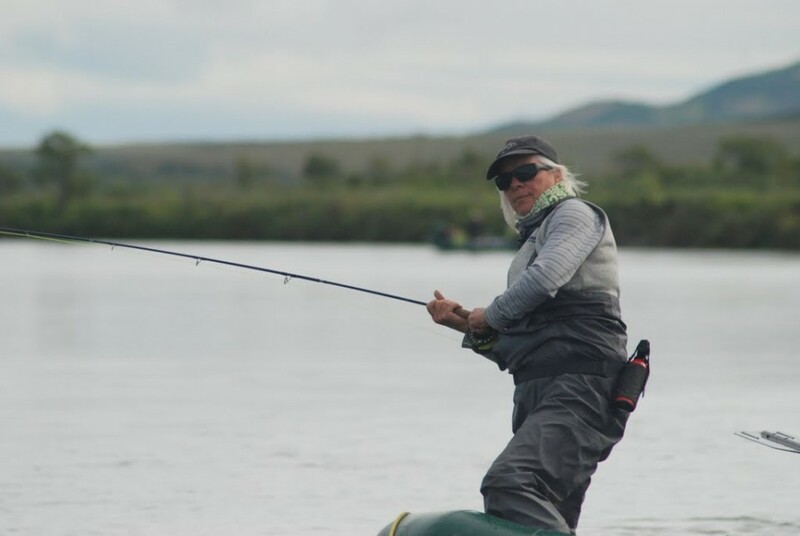 We were a blend of accomplished anglers, intermediate casters, and entry-level fly-fishers all here to participate in the grand seasonal abundance of migratory fish that is the miracle of Bristol Bay. Day two, August 12, 2014 was a fabulous day by all accounts. Weather was overcast with showers marching across the mountain valleys. The morning raft travel was punctuated with coordinated teamwork to land Dolly Varden Char. 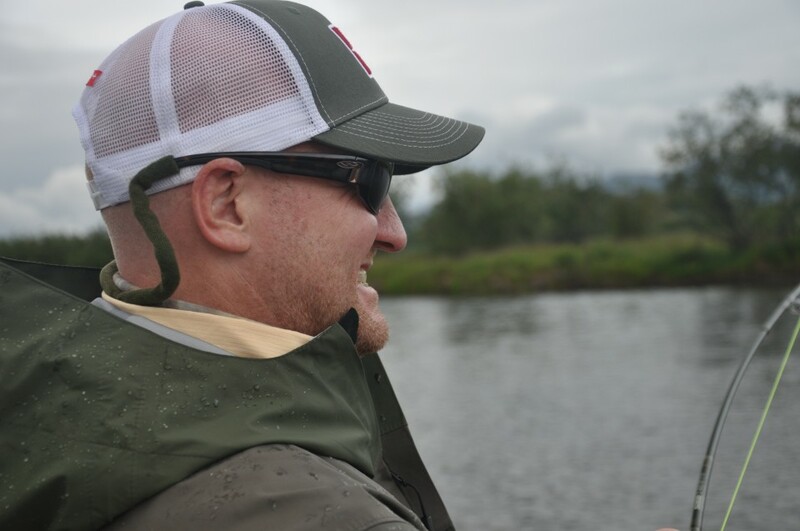 We stopped at a long gravel bar on river left and the most experienced anglers caught and released dozens or several dozens of fish each while the entry level anglers worked to refine their casting and hook setting. Everyone was amazed at the spectacle of Sockeye and Chum salmon spawning attended by hundreds of Dolly Varden. Scores more char were arrayed above the spawning, in the tail of the pools, and in the riffles below. Mid day our two most experienced anglers, Brian & Patrick switched from Trout Beads to a dry fly pattern with memorable results. Over the years we’ve experimented with surface patterns for Char and a couple of patterns, including one we designed are truly outstanding when “skated” across the surface. 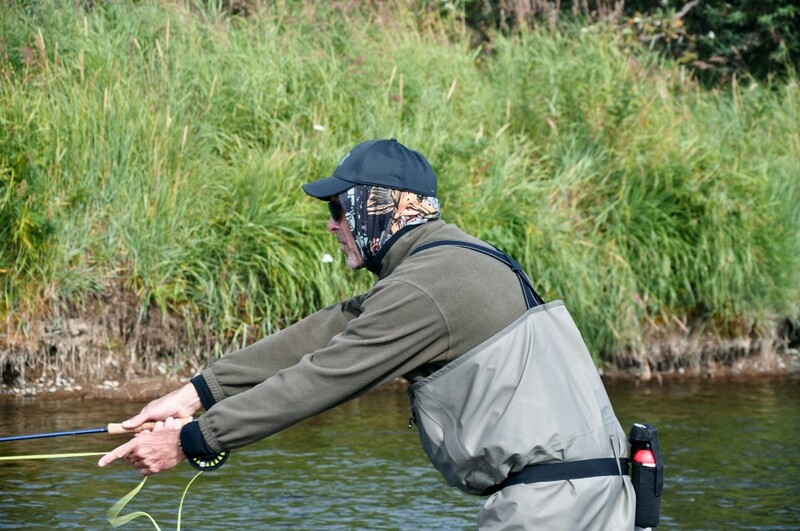 There is consensus that the skated dry flies take larger fish. 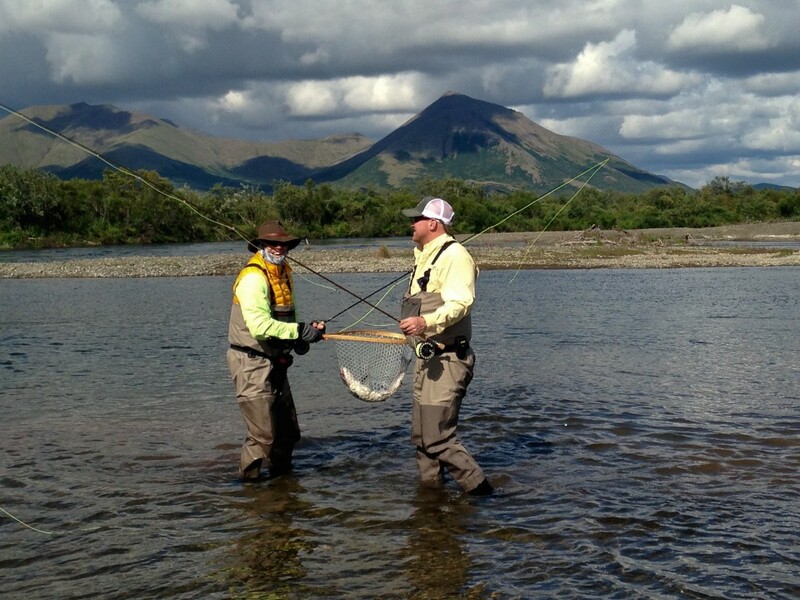 In any case Brian and Patrick released a great many fish on dries. In the evening the sun peaked through while we ate a simple dinner of Char with a crust of chopped almonds, steamed Basmati rice, and salad. We passed the morning of August 13 rafting and fishing for Char while the landscape gradually changed from shallow alpine headwaters to deeper channels and ever-larger pools. 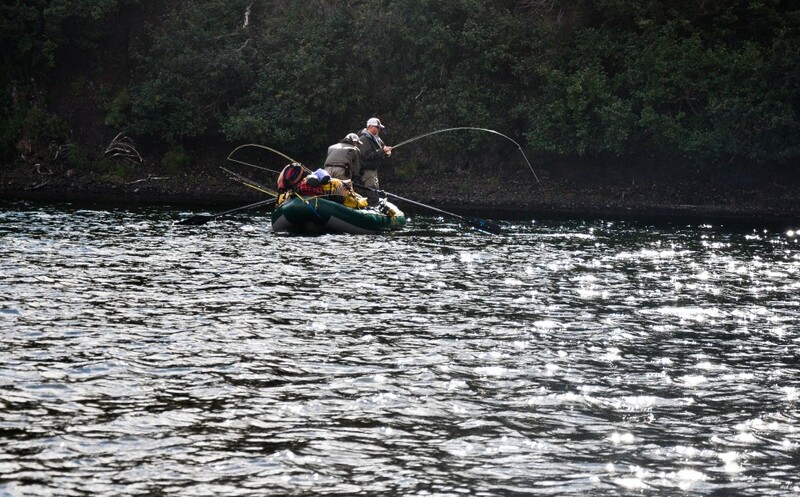 Word passed from raft to raft that the first Coho of the trip was caught in a long lovely pool flanked by hard rock bluffs to the water’s edge. Alerted to the presence of salmon, but ambivalent about hooking one, Noel picked up a fly rod and casually cast a weighted streamer and then out of the channel an aggressive Coho took the fly. 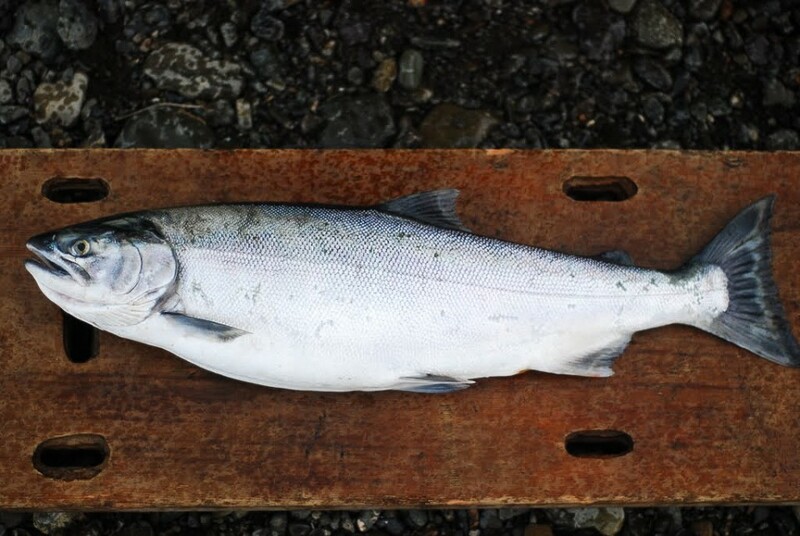 Such was the first Coho of the year taken. Hardly newsworthy except that this was Noel who has cast a fly rod just a few times prior. The whole event was celebratory and as word spread her husband, daughter, son-in-law and all the rest of us congratulated her. We’d arrived at that magic point on an Alaskan river where our downstream travel intersected the upstream migration of the Coho or Silver Salmon. By the end of that hour most of the participants had felt first hand the excitement of hooking this prized species. While we dined under the kitchen fly we watched bears fishing near camp. At last Noel’s lifelong dream to see a grizzly bear was unfolding. What makes these brown or grizzly bears so compelling? 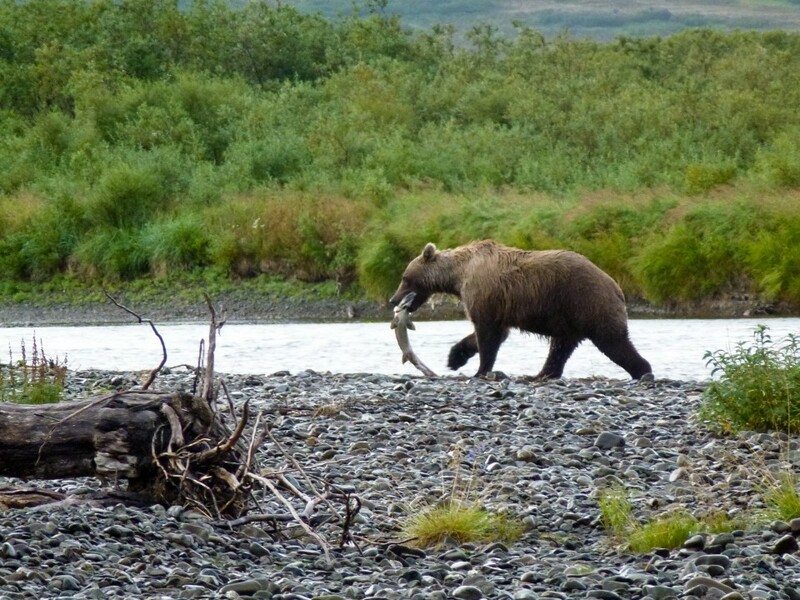 (In Alaska the grizzly bears that live along the coast and eat salmon and grow proportionally larger are called Brown Bears while the smaller interior bears are called Grizzly). 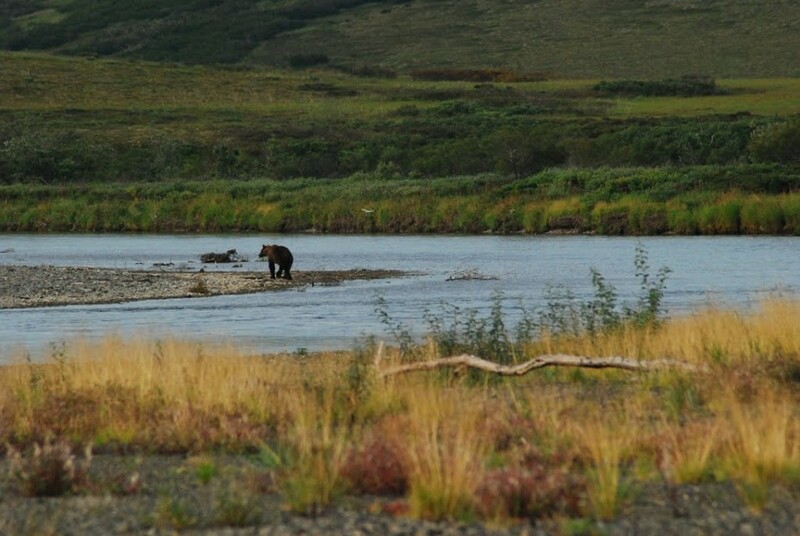 These bears were at a safe distance for observation but close enough we could see all the details of the fishing. Binoculars and cameras were passed around and I reflected how over the years the Goodnews has been the best river in the region for bear viewing while rafting. Mid river we travelled efficiently as a group. We’d learned our roles for the raft travel, the fishing, the photography and the camping. Everyone worked as a team to land the larger fish. 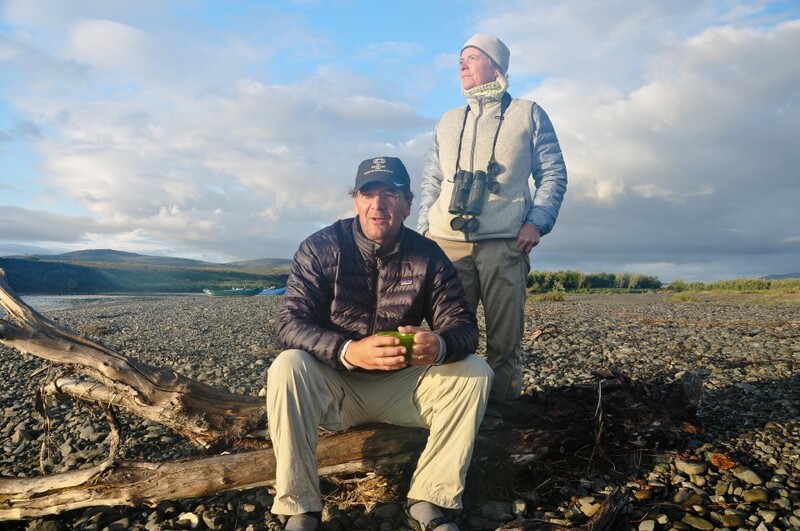 We spent hours floating past the scenery picking up the binoculars to get a closer look at birds and bears and the landscape. The conversations were notable for their breadth and passion but perhaps that’s not surprising considering that we spent hours together in the raft and had the great luxury of time for meaningful conversation. In my mind more than any other trip in recent years this was a trip down a river of bears. One showery day we pulled hard on the oars for the right bank where Gary & Noel and I watched a juvenile Merlin (falcon) perched atop a willow preening her wet feathers. Earlier that morning we’d glimpsed a dark phase Gyrfalcon as it streaked by. Now mid August the weather had shifted toward fall, the young birds of most species had fledged and for some migration was underway. 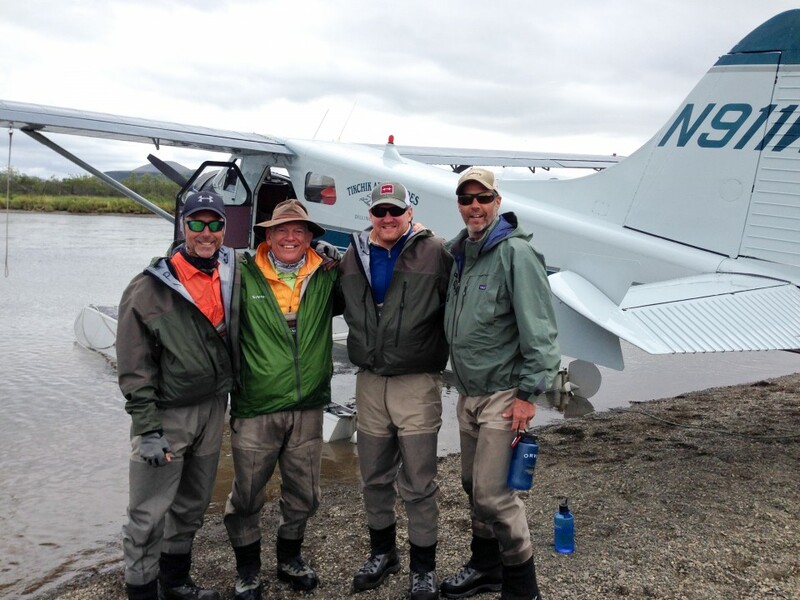 Hopefully each of the anglers and guides had rich experiences that created lasting memories but for two participants Mike Beatty and Patrick Welsh the Alaska fly fishing expedition had an additional layer of meaning. In just a few weeks after the trip Patrick will be marrying Mike’s daughter! 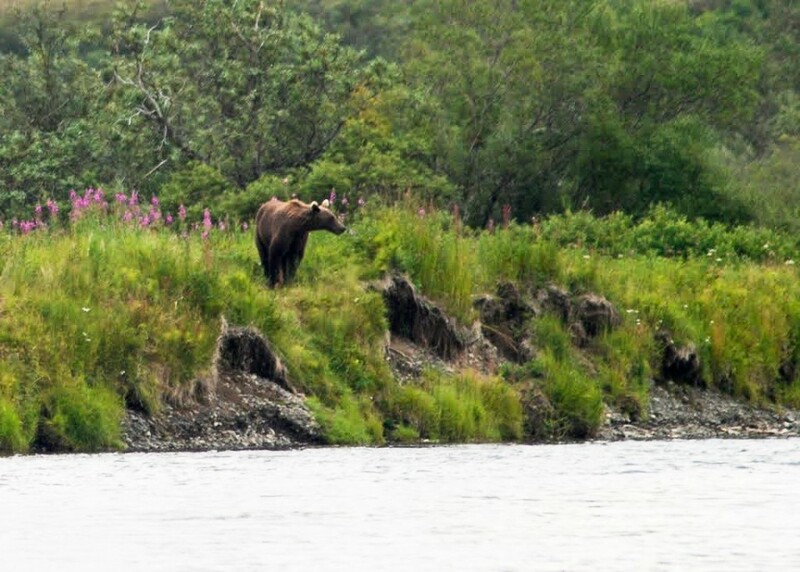 But before then they’d have to survive the weather and the bears and master the fishing. I can’t speak for them other than to say they both expressed gratitude for the best fishing trip of their life but it seemed to me that the shared experience deepened their relationship and forged some strong bonds. 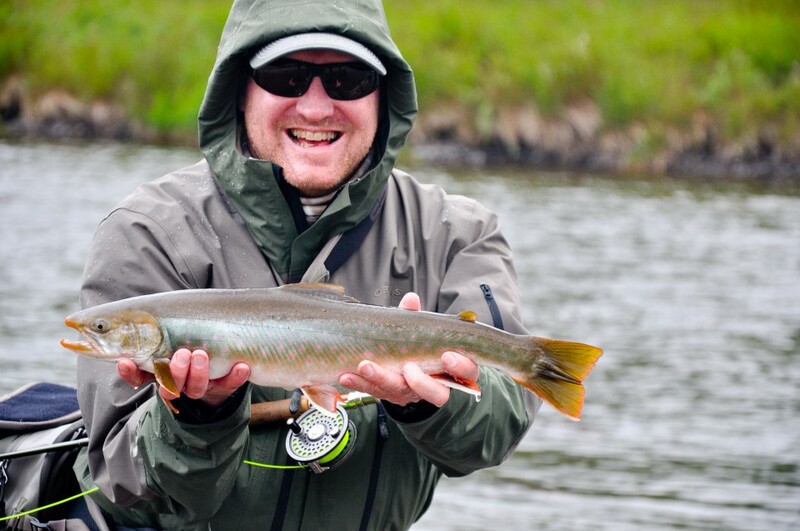 One of the great joys of working with people who’ve come to experience Wilderness Alaska is being present while they deepen their passion for fly-fishing and deepen their connection with nature. 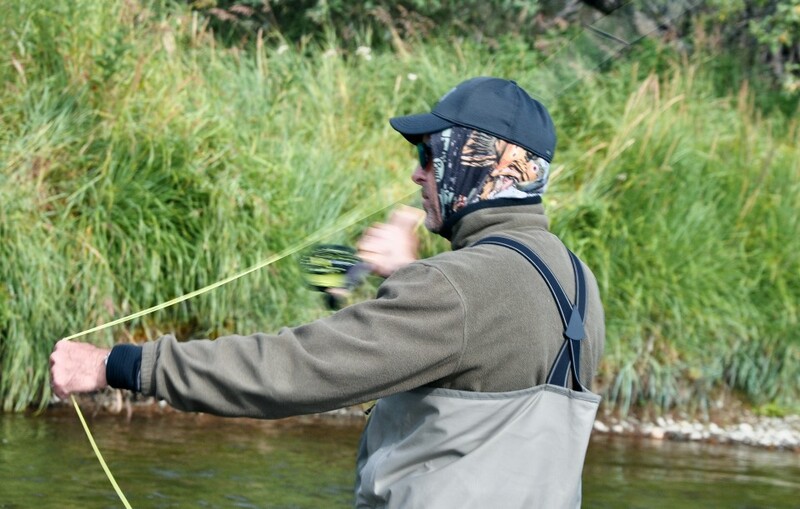 Gary to my knowledge had never picked up a fly rod nor put on a pair of waders. He’s a Rocky mountain guy and a passionate surfer splitting his time between Hawaii and Colorado. Gary’d signed up to accompany his dear friend Mike on this adventure into unknown Alaska and Gary threw his heart and soul into it. We all shared the excitement as he worked on his first fish, a Dolly Varden, and then as he worked his way through all the challenges of casting streamers in the wind and ultimately mastering Coho. Gary brought intensity and passion to the sport and by trips end I set a personal challenge that someday I want to learn to surf as well as he learned to fly-fish! 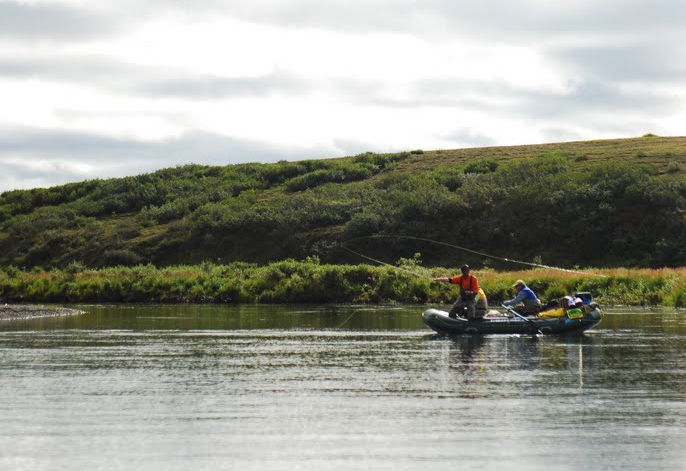 The weather, the landscape, the fishing, and the camaraderie all blend together on a rafting trip. Our trip log records 2 days of very Fair weather and 5 days with overcast and some amount of shower activity. 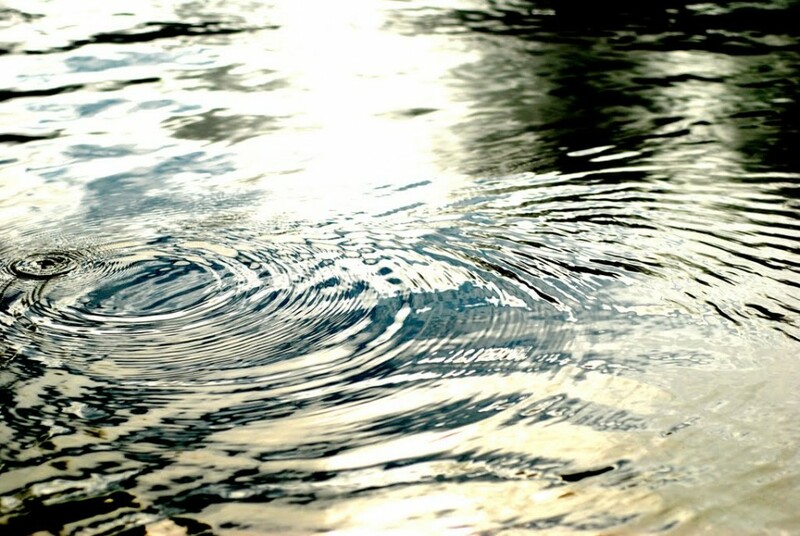 There were moments when taking a swim to cool off made sense and there were periods when you put up the jacket hood and turned away from the wind. 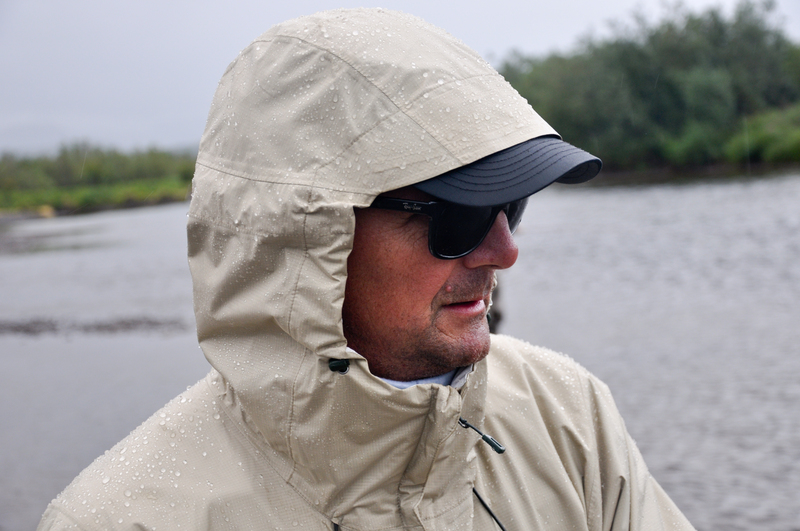 In short our week was typical of the moist Bristol Bay weather that our epic salmon populations depend on to keep healthy. From the log of August 15, 2014 “ I had a terrific day with Brendan and Maura. We fished below a bluff about 3/4 mile downstream of camp where there is a little creek that salmon like to nose into”. 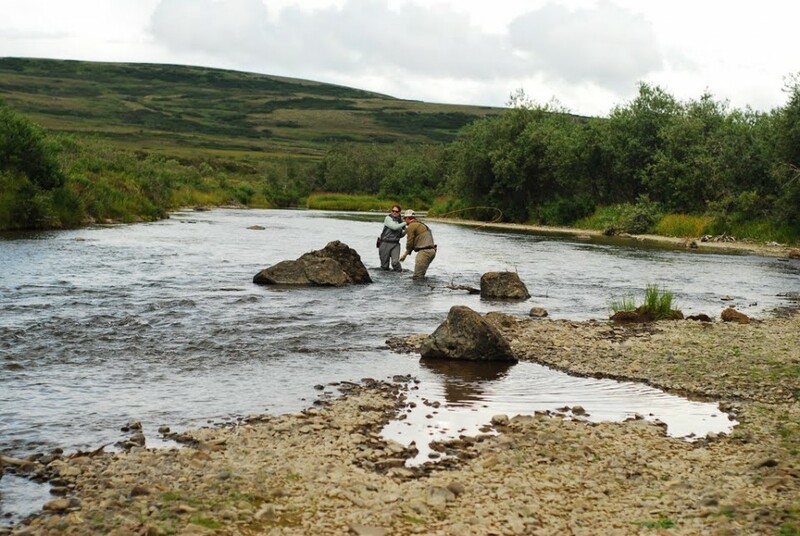 It was a challenging spot to fish because you had to get your cast just right while standing in the bow of the raft and then watch the fish turn on the fly and take it. Once hooked up we’d move the boat out and away leaving the bulk of the fish undisturbed and then come back and repeat. It was particularly fun because we were watching Noel and Peter have great success with the same pod of fish wading and casting from a different angle. 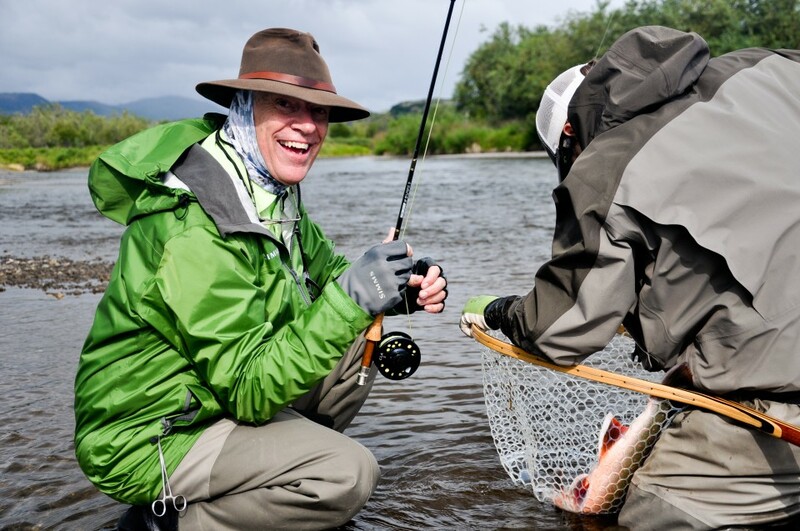 How great it felt to introduce Maura’s whole family to salmon fishing that week! 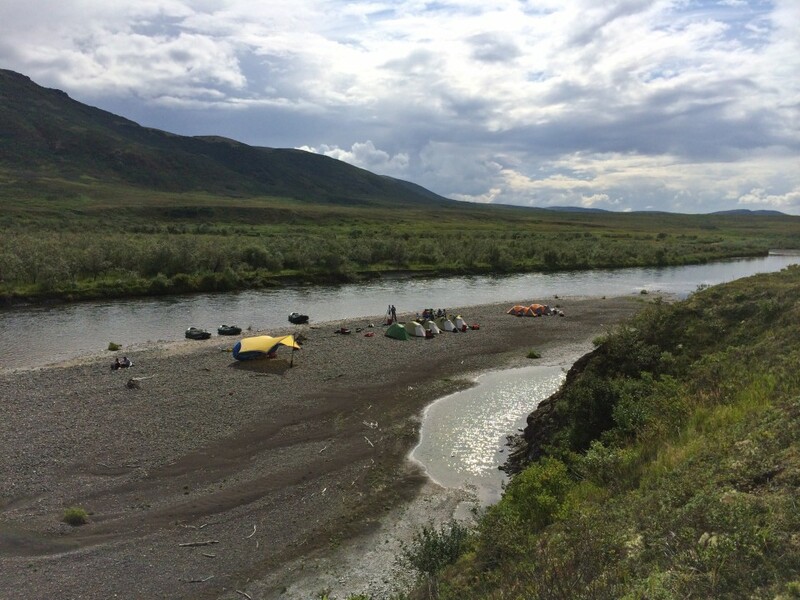 Some camps on a river trip stand out for scenery. Some camps are notable for wildlife sightings or perhaps a spectacular sunset. Other camps for the fishing. 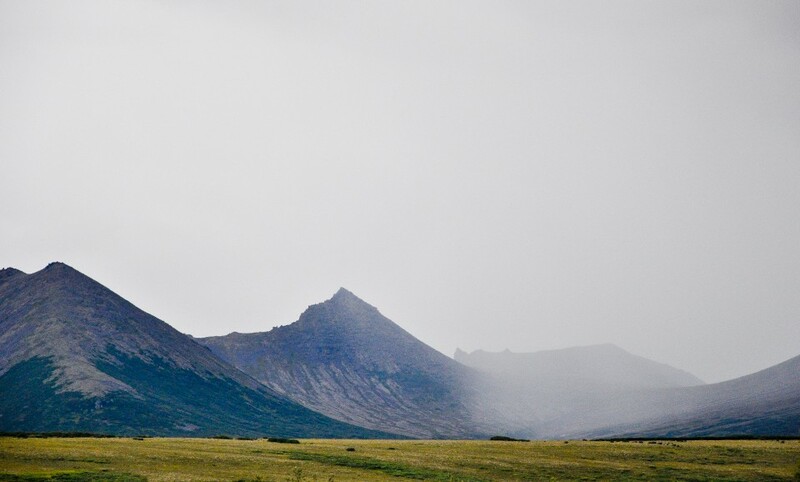 For some a camp with nearby upland tundra to hike is perfect. The Goodnews stands out for its diversity of camps. The Beatty / Hanlon group were enthusiastic about great dining in the wilderness. We had some highly qualified volunteers in the kitchen that week (which was beyond the call of duty). But we had a lot of fun and to them I am in debt. The collaboration produced some memorable meals. It’s a wonderful thing when a family and a group of friends can gather together for a trip and created a shared experience with enduring qualities.